Daily teeth cleaning is one of many tasks we perform daily as part of our personal care routine. Many of us would be embarrassed if someone we are having a conversation with were to step back from the conversation because we had bad breath. Equally embarrassing is to discover later you had a piece of food stuck between your two front teeth. Yikes! While daily brushing and flossing helps to prevent situations like these from happening, cleaning our teeth also helps prevent the onset of dental caries (dental cavity), gingivitis, and periodontal disease. Good oral hygiene also helps our body fight disease and minimizes bacterial dental plaque (a sticky, colorless film of bacteria that constantly forms on our teeth throughout the day) from entering our bloodstream. Daily brushing and flossing at home combined with a professional teeth cleaning help you to maintain a bright, healthy smile. A professional teeth cleaning removes bacterial plaque, calculus (tartar), and unsightly stains from the outer surfaces of your teeth that can not be removed with a toothbrush and/or floss. Our promise: No scolding, No lectures, and No judgments. There are different types of teeth cleaning appointments. What type of cleaning you need is dependent upon how healthy your teeth and gums are. One of our dental hygienists will complete a comprehensive exam to check for the presence of gum disease (periodontal disease). Afterwards, she will review her findings with you and inform you what type of teeth cleaning is right for you. Recommended for children, teens, and adults who do not have periodontal disease. The term deep cleaning is used interchangeably with the following terms: gum disease cleaning, periodontal therapy, and root planing and scaling. This cleaning is recommended for people diagnosed with gum disease. Deep cleanings may require multiple dental visits. Patients have the option to use local anesthetic (be numb) and/or laughing gas (nitrous oxide) during their appointments. Periodontal maintenance cleanings are for people who have periodontal disease and have previously had a deep cleaning. Periodontal maintenance cleanings are recommended every three to four months in order to prevent further bone loss. Ultrasonic teeth cleaning is when a dental hygienist uses an ultrasonic scaler machine in addition to traditional hand instruments during a professional teeth cleaning appointment. An ultrasonic scaler uses ultrasonic vibration and water to irrigate periodontal pockets and remove bacterial plaque, hard tartar, and stubborn stains from teeth surfaces. People who wear dentures (have no natural teeth) are still recommended to have their dentures professionally cleaned and inspected annually by a dentist. Similar to natural teeth, dentures accumulate and harbor bacterial plaque, hard tartar, and stain. Your dental hygienist will professionally clean your dentures and afterwards, your dentist will perform an oral cancer screening and evaluate the tissue and bone ridges that support your dentures. How often should you get your teeth cleaned at the dentist? Generally speaking, there is no universal rule for how often you should have your teeth professionally cleaned, merely guidelines. Each of us are individuals with a different set of circumstances. Your dentist and dental hygienist will discuss their findings with you and determine an optimal interval that helps you to maintain your smile and teeth for a lifetime. Six months is a good rule of thumb for adults, teens, and children who are considered healthy and do not have periodontal disease. People with complex medical conditions that impact or have an elevated risk for dental caries and/or periodontal disease may be advised by their medical physician and/or dentist to have their teeth cleaned more frequently to help minimize potential medical complications. Dental hygienists utilize a variety of tools during a teeth cleaning appointment. Listed below are the most common instruments and tools used throughout your dental cleaning appointments along with a brief description of each. Variety of hand instruments to enable hygienist to reach and clean teeth surfaces. Ultrasonic scaler is used to irrigate periodontal pocket and remove bacterial plaque, stain, and calculus (hard tartar) from teeth surfaces. Periodontal probe is used to measure the depth of a tooth’s periodontal pocket. Mouth mirror is used to see tooth surfaces not easily visible. Dental explorer is used by dentist to examine teeth for dental caries and pathology. Dental polisher is a rotary tool used to apply professional grade toothpaste to teeth surfaces. Prophy paste is a fancy name for professional grade toothpaste. Saliva ejector or straw removes water from your mouth like a vacuum. Air/water syringe enables dental professional to rinse mouth or dry teeth to increase visibility. Dental floss is used to clean and remove debris from between teeth. X rays reveal dental caries or pathology not clinically visible. 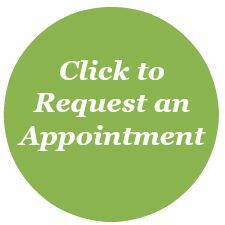 Call (763) 586-9988 to schedule an appointment or click the green button below to request an appointment online. Dentist will review x rays if taken, will examine teeth for dental cavities, check existing dental restorations, perform an oral cancer screening, and discuss their findings with you afterwards. Dental hygienist will pre schedule your next teeth cleaning appointment at a convenient time that you choose. Afterwards, one of our patient care coordinators will provide you an estimate of any recommended dental treatment and will submit your dental appointment charges to your dental insurance company on your behalf. Most people love how smooth and clean their teeth feel after having them professionally cleaned. Brushing teeth and tongue after meals, and flossing daily will remove dental plaque and help to minimize the formation of hard tartar (calculus) in between professional teeth cleaning visits. Additionally, if your dental hygienist or dentist shared any product recommendations, make note of these to purchase on your next shopping visit. If you have any questions, do not hesitate to call (763) 586-9988 or email us. Many patients tell us they’re afraid to eat after their cleaning. It’s totally fine to eat after your appointment. If it had been awhile since your last cleaning or you had a deep cleaning, it is not unusual to experience a little gum tenderness or extreme temperature sensitivity. This typically does not last for more than a couple of days. Warm salt water rinses or an anti-gingivitis mouth rinse may also be helpful. There is not a waiting period following having your teeth cleaned before you can smoke. Most smokers and tobacco users understand that their teeth are prone to brown staining on highly visible teeth. The cost of a teeth cleaning is dependent on the type of professional dental cleaning necessary. If you have dental insurance, teeth cleaning benefits vary among plans. If you’re unsure, it’s best to review your dental plan or ask one of our patient care coordinators to check on this for you. Ready to schedule a teeth cleaning appointment? Call (763) 586-9988 to schedule or click button below to request an appointment online.